Neha Anil Sangam from Thana, CS Graduate. Working for : KUSAM ELECTRICAL INDUSTRIES LTD.
Post : APPLICABLE COMPLIANCE TO COMPANY. Currently working as APPLICABLE COMPLIANCE TO COMPANY. at KUSAM ELECTRICAL INDUSTRIES LTD.
are one of expert skill area's of Neha Anil Sangam . 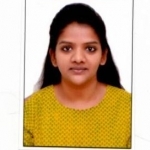 Neha Anil Sangam is working in Legal/Law industry.